John Jamieson has come a long way from his days of being a high school failure and a college dropout. He is a successful businessman for over 22 years and has launched several companies from nothing more than an idea and a goal. John has spoken to hundreds of audiences all over the United States and Canada on the subjects of Business, Real Estate and Wealth Creation. John is a sought after speaker and trainer. Some of his speaking engagements have included the Floyd Wickman Annual Forum, Greater Metropolitan Association of Realtors, Rich Dad Poor Dad, Robert Kyosaki and Trump University. John continues to speak and write articles for publications. His articles have been published by AOL’s DailyFinance, CNA Finance and many more. John has also been written up in the Florida Association of Realtors Magazine and been interviewed on numerous radio shows throughout the country. John started in business with no money, no job and no credit; yet he bought his first piece of investment real estate at the age of 21. Since then he has gone on to purchase tens of millions of dollars of real estate. John also has been involved with tens of millions of dollars of real estate transactions as an agent working with investors from all over the world. He has a unique ability to train people how to start with very little and achieve amazing results. He is currently the owner of Perpetual Wealth Systems, which is a national wealth strategy company working with people and businesses on a batter business model for automatically ans systematically creating tax free generational wealth. 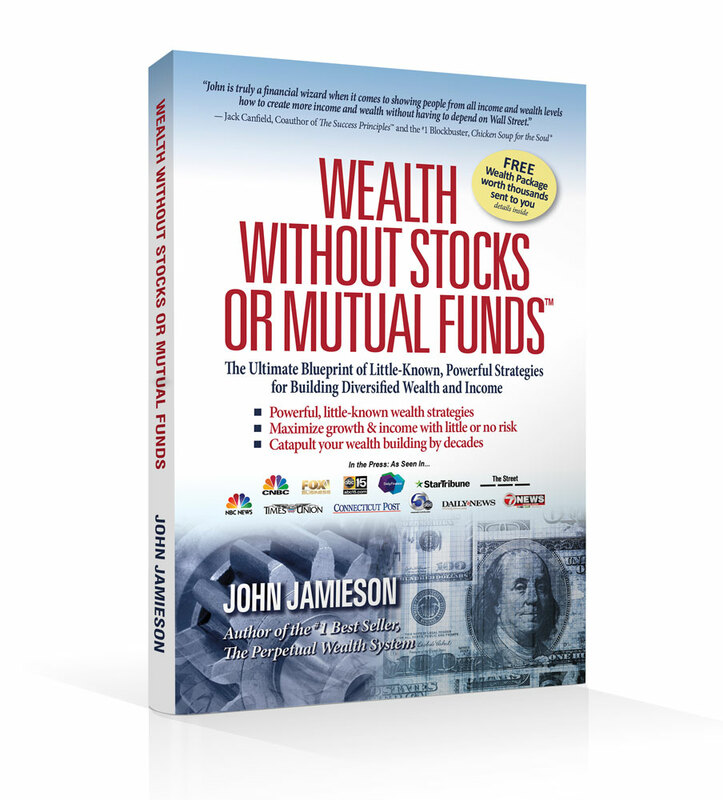 John is also the author of the #1 best-selling book, “The Perpetual Wealth System”. John’s book gives insight on the broke business and financial model that 99% of us have been trained on for decades. He explains how that model keeps you struggling while other people and institutions get rich. Learn what you can do to change your financial future for yourself and for future generations.